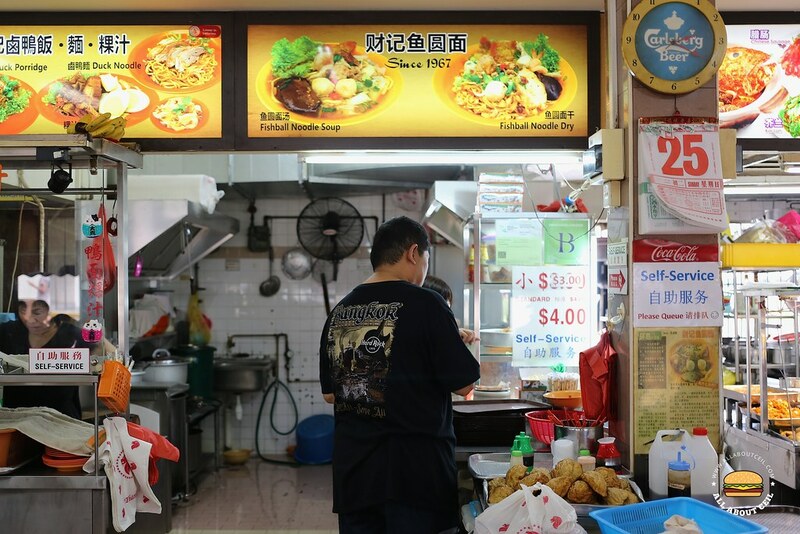 I walked past this stall that is in the coffee shop opposite the food centre a few times and there was always a queue each time. The last time when I made an effort to be there it happened to be closed. And, I know I just have to come back for this close to 50 years old Fishball Noodle. It is indicated on their signboard that they have been around since 1967. This time, I came back on a Sunday slightly after 2 pm, there was just another customer in the queue. While queueing I was informed that there are no more fishballs but I was told in just a bit that there are still 4 pieces left. There is the smaller portion at $3.00 and a standard portion at $4.00 which I ordered. 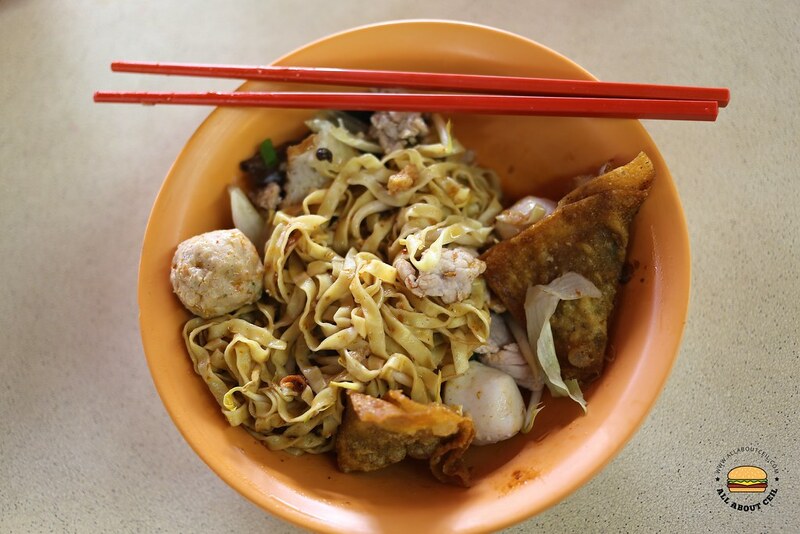 It consists of a good portion of mee pok with ingredients like fried dumpling, meatball, fishballs, mushroom, slices of fishcake and lean meat. 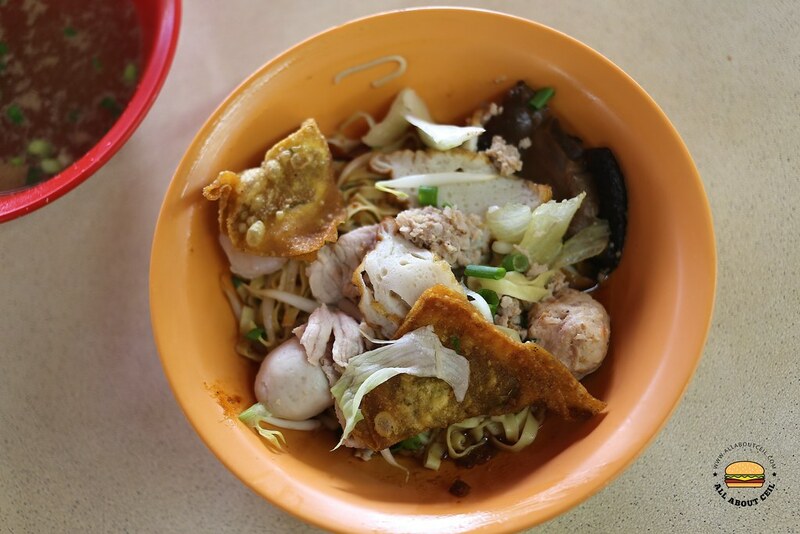 The mee pok was lightly tossed in pork lard oil with chilli that brought forth the full flavour and further enhanced by the addition of fried pork lards. This is quite good, it has an old-school taste that is simple yet so satisfying. This is going to be a new found love that I will keep coming back for.